The Pathagility team is inspired by start-up labs and existing laboratories that are developing new and innovative tests. We know how challenging that process can be for labs, so we built a modern technology solution that provides a cost effective, Software-as-a-Service solution engineered especially for your lab’s needs. 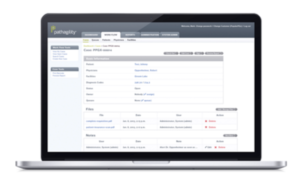 As a flexible cloud-based system, Pathagility gives laboratories the ability to adapt to changing technology and provides interpretive reporting across existing and emerging tests. Your lab already specializes in a certain kind of testing, whether it be molecular testing, Pgx, toxicology, or another specialty. But what if you decide to add further testing capabilities in the future? 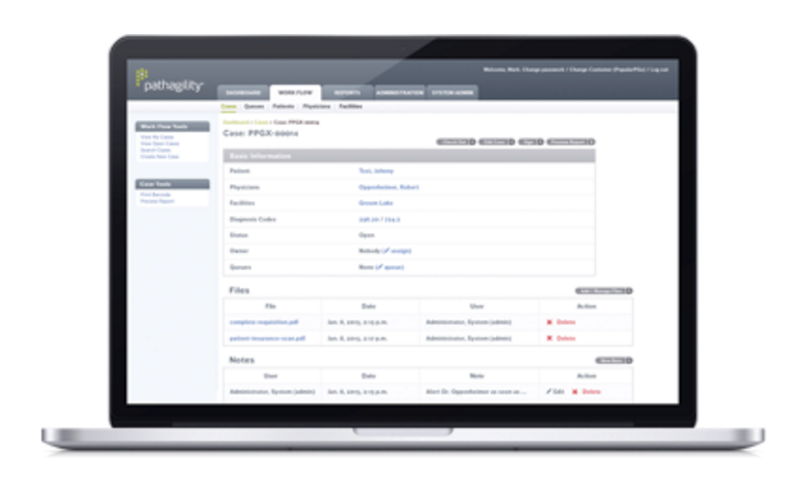 With Pathagility, you can add an unlimited amount of new tests to the system and what’s better, the new case types are modular and are built with the same processes and workflows your lab already uses. With the rapid advancement of science, your lab needs the ability to stay ahead of the competition and add new tests – maybe even tests that are proprietary and have never been done before. With Pathagility, that’s no problem. We use a collaborative process to work with our clients to build brand new case types and implement them seamlessly into the current processes so nothing is interrupted. How does it work? We simply have a conversation with your lab about the type of testing you are doing or would like to do, we obtain the custom algorithms and data points, and our team builds out case types which fit just like a puzzle into the rest of your tests. Once your lab runs a test, you need a detailed report back. But the way Pathagility returns your report is a major X factor. With a built in portal, you can log in and retrieve the reports yourself in just a few easy steps. But in addition, we leave it up to you as to how you’d like to receive the reports. We can distribute via fax, HL7 distribution, or you can choose to receive an email with a link to download the report securely. Or, you can install and receive reports automatically as they’re going through your system – and allow your own clients to do the same – with our feature called FilePath. In addition, everything is logged in the system so you know that your reports have been properly sent, received, and recorded, which gives you peace of mind. What happens if you want to change your preferences… tomorrow? No problem. All rules and distribution channels are completely dynamic and can be turned off or on at the flip of a switch. You’ve worked hard to create a unique brand for your lab, so the last thing you want is for your reports to be standard or worse, reflect the branding of a partner lab instead of your own. At Pathagility, we know how important it is for you to project your branding on your reports – even if using standard out-of-the-box case types. Pathagility’s system allows you to carry your branding throughout all reporting by allowing you to customize the entire look and feel. For example, if you’re a PGx lab, choose your logo and colors, but also determine details such as vertical or horizontal layout, boxes or call-outs, areas for specific stats, and even cross-reference medications from your lab tests. To put it simply, whatever a graphic designer can come up with, we can replicate it in our Pathagility reports. 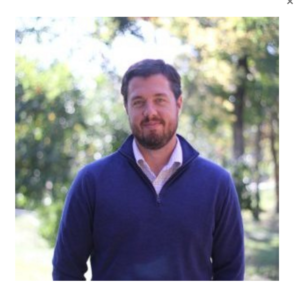 Chad Files, VP of Product at Pathagility, is an accomplished software architect and developer. He has served as a senior software developer and systems architect for NovaSys Health in Little Rock Arkansas, and a Technical Team Leader at Acxiom Corporation. Chad is also an open source software advocate and developer. His writing on open source software and IT management has been published in several leading trade magazines and on various trade websites.